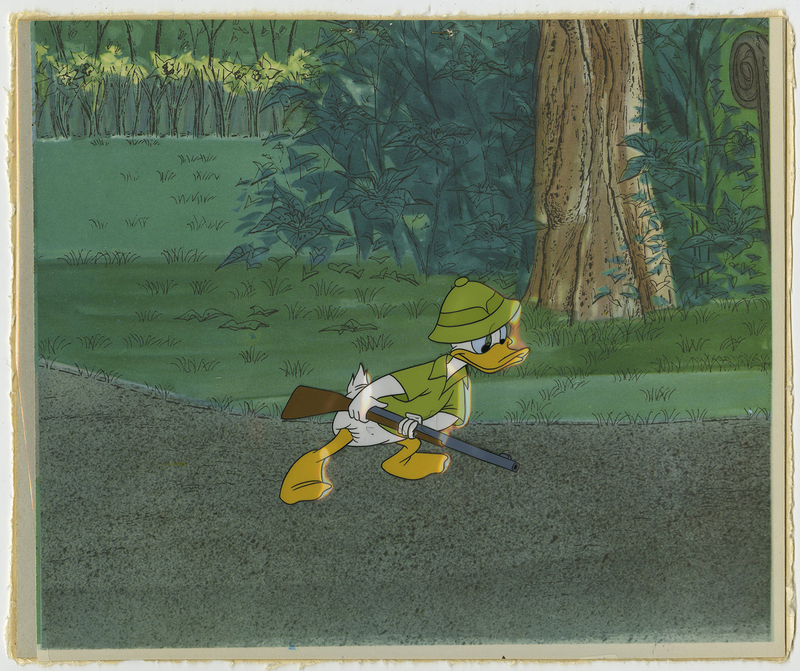 This is an original production cel from the Walt Disney Studios production of a 1960s cartoon. 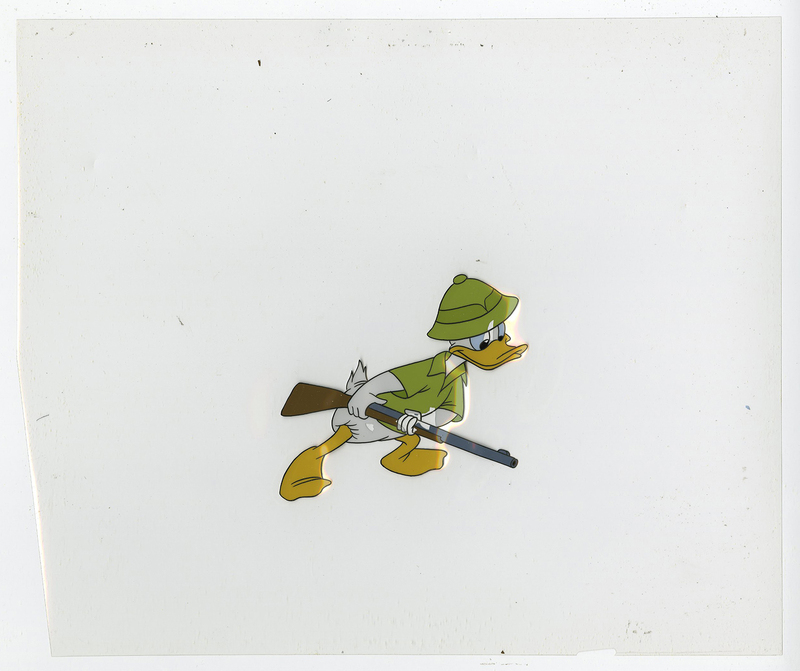 This production cel features Donald Duck and was created at the studio and used during production. The overall measurements of the piece are 10" x 12" and the image itself measures 3.5" x 4.5". 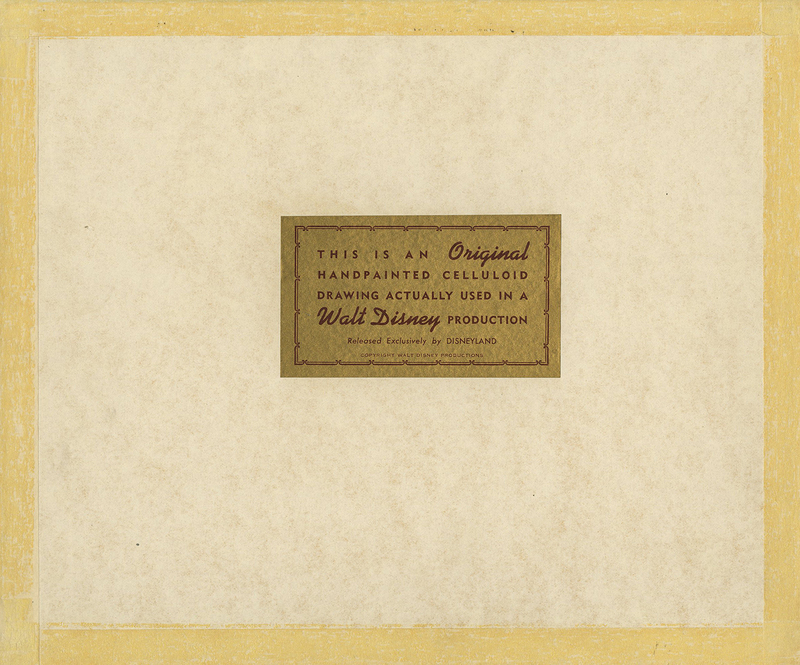 The cel was originally sold by the Disneyland Art Corner store, and is paired with a color copy background as it was originally prepaired. 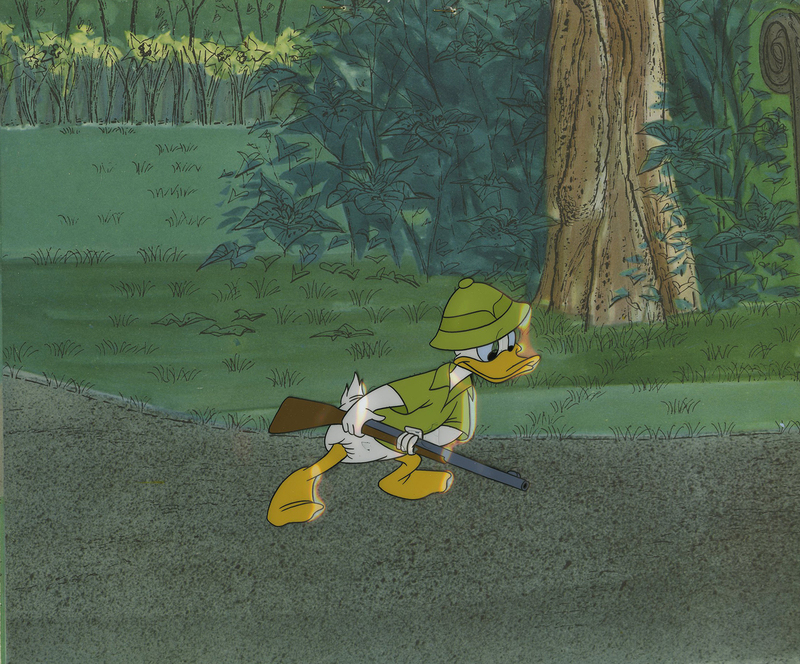 The cel is in good condition overall with some paint loss, as seen in the images.